In essence, the loss of a tooth has not only the fact of being a blemish on one’s image, but also being a potential for dental complications that can become unnecessarily expensive, painful and time consuming. A dental bridge is a method of replacing a missing tooth. Instead of using an implant directly where the tooth is missing, a dental bridge uses teeth on either side of the gap to support the replacement tooth. The bridge itself then functions and looks just as the lost tooth did, giving back the utility and comfort that you had been used to. As you can see, a dental bridge typically consists of two or more crowns for either side of the gap, with a replacement tooth or teeth in the middle. A dental bridge is usually made up of metals, porcelain, or a combination of these materials. Because natural teeth or implants support the crowns, a dental bridge is quite strong and normal activity of the mouth can be resumed shortly after the procedure. 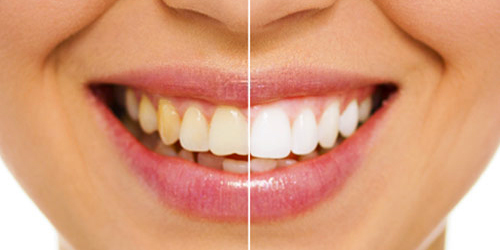 Dr. Jivraj has over 25 years of experience in the delicate field of cosmetic dentistry. The results that he and his team routinely perform are nothing short of a miracle. People with cosmetic imperfections and gaps where teeth used to be are blown away when bridges and other procedures are performed. Where embarrassment and defeat used to be a beautiful smile now sits. As a prosthodontist, Dr. Jivraj truly delivers among the best dental bridges in Ventura County. Your dental bridge procedure starts with a private consultation with Dr. Saj Jivraj. During this time, he will go over treatment options for you. If dental bridges are the right fit, you and he will proceed with schedule your appointment. As the first step, the two teeth neighboring the missing tooth—the abutment teeth—are prepped to receive the crowns by removing some enamel to make room for them. After that, dental impressions are made in order for the laboratory to make your new permanent replacement teeth. Though they will not be finished that day, Dr. Jivraj does fit you with a temporary bridge, which will function almost as well as the real thing. Some foods are to be avoided while you have the temporary bridge. In your next visit, after it has been correctly built and adjusted as needed, your temporary bridge will get removed and the new permanent one will get placed. To learn more about how bridges may help you achieve cosmetic perfection and a healthy mouth, it may be time to see Dr. Jivraj in Oxnard for a private consultation. During this time, he will fully assess your situation and present you with your best options. With his educational, informative approach, patients routinely feel comfortable and confident in his abilities. Please call us to schedule your consultation today.